With an uncommon command of deep-feeling southern rap music, OMB Peezy is wise far beyond his years. Delivering an affecting mission statement, OMB Peezy bares his soul in the video for “Mind of Overkill.” A tuneful and intelligent rumination on the ghosts of Peezy’s past, “Mind of Overkill” finds the young rapper soaring above a gorgeous production from Drum Dummy, who adorns the track with spiritual blues piano. 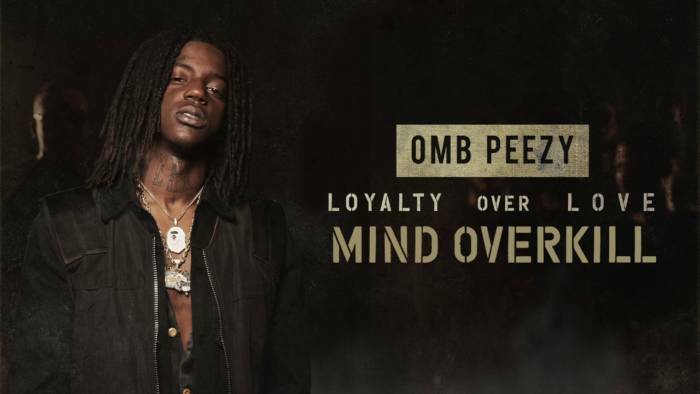 “Mind of Overkill” is a succinct summary of Peezy’s life and career up to this point, with a probing eye on the past and the future, which makes it the ideal closing track for Loyalty Over Love, Peezy’s recently released mixtape.